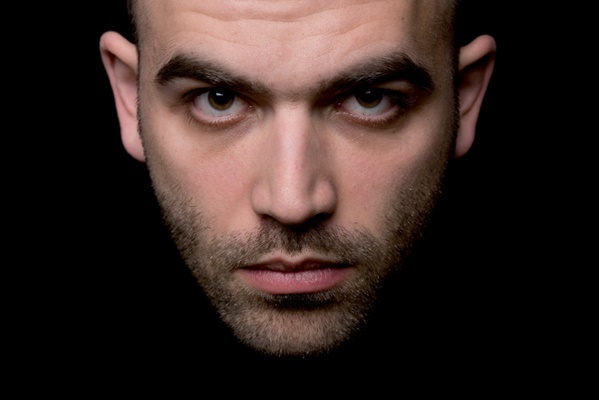 With former prime minister Silvio Berlusconi’s grip on the TV sector on one side, and internationally famous writer Roberto Saviano forced to live under protection on the other, the reputation of Italian media in the last decade could have hardly been worse. But in 2015 that the country’s position in Reporters Without Borders’ ranking has reached its lowest point ever: after a short-lived improvement in 2014, Italy has now slipped from being the 49th to the 73rd best country for the press freedom in the world. Right after Moldova, a little better than Nicaragua. Berlusconi’s power nowadays is a fraction of what it used to be and Saviano - notwithstanding the dreadful living conditions he has to endure - is a prominent figure in the media and a respected commentator on Italian and international affairs. Where is the problem, then? Where it has always been, namely in the sheer number of journalists who are still facing difficulties in doing their work. “Difficulties” is not the right word: they receive death threats, their cars are firebombed, their properties attacked. What’s most worrisome, they cannot always rely on respect from a public they live among. Most journalists facing threats do not cover the major centres of power. They are the unsung heros of local news. Billy was a Belgian Shepherd and Chérie a playful English Setter living in Partinico, 20 miles from Palermo, Sicily. At the beginning of last December the two dogs were found dead, poisoned and then hanged, in front of their master’s Pino Maniàci’s workplace at tiny local TV channel Telejato, which has unrelentingly reported about the Mafia’s activities in the area. Maniàci has been living under protection for the last eight years after having received threats, been beaten up and almost strangled, had his car set on fire and his dogs killed. “After Billy and Chérie died, we adopted two puppies which had been abandoned in a landfill,” says Maniàci with his thick, charming Sicilian accent. He exudes pride in his work, which he modestly describes as “covering crime day by day”, a “normal” task often forgotten by journalists who are “too influenced by politics”. In his view it is thanks to his very simple daily routine of investigations and reporting that he “became one of the information heroes in the world” - situation he sees as hilarious. At the moment in Italy there are 12 journalists living under protection because of threats they receive from the Mafia, the Camorra, The ‘Ndrangheta and other criminal organisations. “The state of our country in terms of freedom of the press is very precarious and not only because of conflict of interest and the concentration of the ownership of media outlets and the political control of information of public TV,” according to Alberto Spampinato, the chair of Ossigeno per l’Informazione, an Italian NGO monitoring freedom of information and the main source for Reporters Without Borders’ report. Spampinato’s brother Giovanni, a young and talented journalist, was killed in Sicily in 1972. “Threats and intimidations are extremely common; legal actions are often used to intimidate and aggressions happen on a daily basis,” Alberto Spampinato points out. “Our observatory detects more than one case a day.” As a result of this intimidation “citizens are often deprived of many important news." According to Ossigeno per l’Informazione’s figures, there were 421 threats against journalists in 2014, a 10 per cent increase from 2013. Regional differences are striking. In 2014 there were nine times as many acts of intimidation in the southern region of Basilicata (a region with little more than half a million inhabitants) than in the rest of Italy combined (60 million people). Even crime-ridden Calabria was only a distant second. But is this an issue of freedom of the press or does it simply reflect the situation in a country where crime is still a considerable problem? "Most journalists facing threats do not cover the major centres of power. They are the unsung heros of local news"
“The fact that there are so many threats means that there is some freedom, that there are people trying to use this freedom,” says Carlo Puca, 45-year old political reporter from Panorama, a right-wing magazine. A couple of years ago he spent three months undercover in Scampia, one of the Camorra’s strongholds where few dare to go and where the rule of law is long forgotten, if it was ever present. Puca was born in Sant’Antimo, 10 miles from Naples, and thanks to his familiar accent he managed to sound like a local in Scampia. “I reckon there are some areas of Italy where it is extremely difficult to be a journalist, but one cannot compare this situation with the one of Hungary or other countries where you don’t have any freedom of the press at all,” he says. 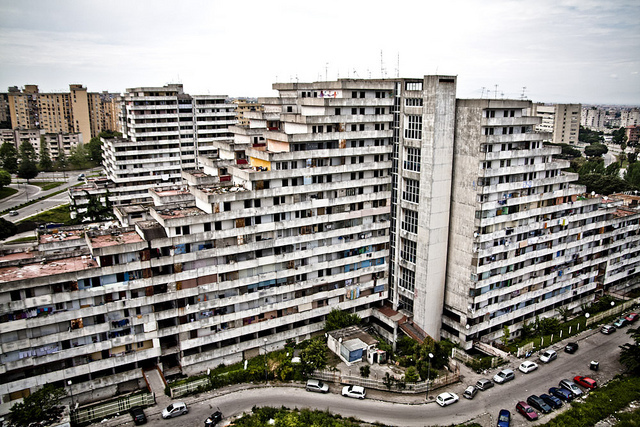 "To put it simply, the Mafia is more political, and the Camorra is focused on the economics"
Partinico, just like Scampia, is a very inhospitable area, but the Mafia and the Camorra are different in their approach to control. To put it simply, the Mafia is more political, and the Camorra is focused on the economics. Sometimes, of course, the two things are intertwined. Telejato’s investigations “target everyone”, says Maniaci, pointing out that even some anti-Mafia organisations over the years changed and turned into something more complex. “Now we are working on a story concerning properties confiscated from the Mafia. The way they are being dealt with makes me think of the Mafia itself,” he says. "In Sicily you have 5 million people and 5,000 mafiosi. You make the calculation"
The role of journalists in Italy is not as clear as in other countries, and there has never been a separation between facts and opinions. This allows a vast freedom for journalists, who do not always make the best use of it. Maniàci believes many of them see their role as being “press officers for politicians” and care more about their links with the power than about the result of their work. Puca reckons some journalists take pleasure in showing off some forms of “heroism”, an attitude which is not always useful if they want to act as proper watchdogs. “We should report what happens, not replace judges and tribunals,” says Carlo Puca. “In my view this is real heroism, just like people such as Rosaria Capacchione and Lirio Abbate do,” he stresses. Capacchione, a reporter from the Neapolitan newspaper Il Mattino who covered the Camorra, is now an MP. She has been threatened several times. The same happened to Lirio Abbate, a journalist with the Espresso magazine covering the Mafia. On 11 November 2014 he was driving with his police bodyguards – he has been under protection since 2007 - when his car was chased and rammed by another vehicle. Episodes like this one do not happen only in Southern Italy. 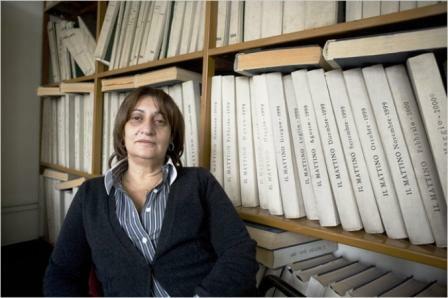 Federica Angeli, who writes for La Repubblica about crime in Ostia, a coastal town just outside Rome, got death threats for her reports and needs to live under protection. The public is not always on their side. When Telereggio reporter Ines Corradi tried to film the scene of a car accident on 19 October, the relatives of the crash victim told her to leave. When she failed to comply they attacked her and threatened to kill her. Something similar happened to Carmen Carbonara of the Corriere del Mezzogiorno, who went to a marketplace where a greengrocer had just been shot dead. She tried to take some pictures of the crime scene with her smartphone but she was violently attacked by some women. This is only a part of the story. Politicians taking legal action when they feel their reputation has been compromised by the press are a serious issue as well, and so is the unhealthy censorship many journalists apply to their work. In times of deep economic crisis, when many jobs are at risk, this is even more visible. The relation between journalists and political and economic power needs to be monitored and readjusted. Attacks on reporters doing a job that benefits the entire community are a problem for everyone.